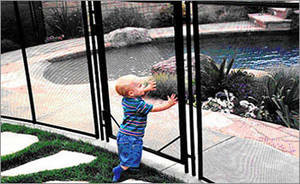 An isolation fence is the most effective means to protect a child from drowning in a swimming pool or spa. * Photo courtesy of Guardian Pool Fence Systems. Copyright © 2019 ABC Pool Safety.All rights reserved.